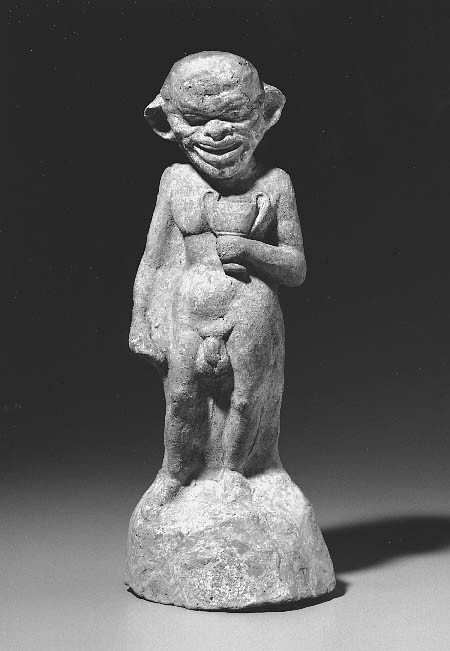 late 5th or early 4th century B.C. Place of Manufacture: Greece, Boiotia ? Caricature of a man, standing, clasping a kantharos to his breast. Figure was painted dark red, kantharos yellow, feet up to ankles white. A red stripe across the base. Repaired; some pieces from head and base are missing.